The world of professional wrestling has certainly gone to another dimension. Whether it is the in-ring showcase, the extensive travel for engagements outside of the ring, or overall fan expectation, the pressure for a WWE talent to be relevant has increased. While this does improve the hunger for a character to succeed and ascend to the main event level, it also comes with an increased susceptibility to injury. Nowadays, we see a dangerous amount of talent falling victim to not only minor injuries but situations that are much more costly. 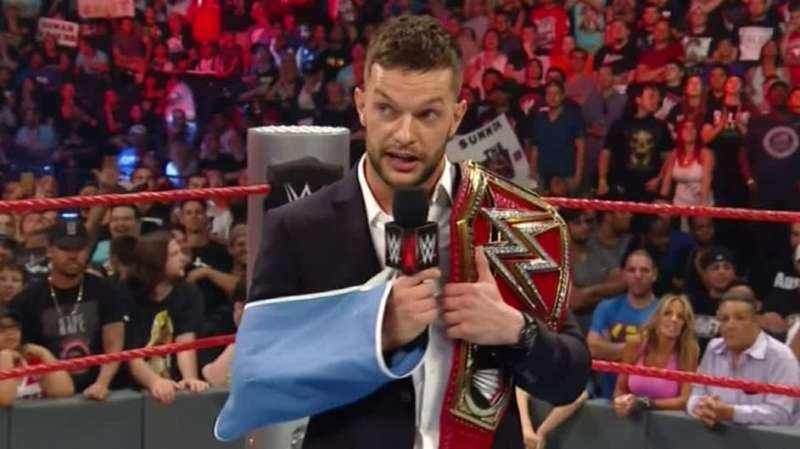 The most recent example was Finn Balor, who became the inaugural WWE Universal Champion. However, this achievement was short-lived, as he suffered a torn labrum which will require at least six months to recover. Balor is not the only person who had a prominent position revoked by injury, as Sasha Banks also had to end her first reign as Women’s Champion due to nagging back injuries. In this era of WWE, injuries are as common as ever. Somehow, this dangerous trend has to be investigated deeper to provide a solution of how to cease it. This reason may stem some controversy, but it is worth it. Former WWE World Heavyweight Champion Seth Rollins has been a recipient of some major criticism from both fans and wrestlers due to his risky level of in-ring competition. In the past year or so, Rollins has been the common denominator of three superstars who have suffered from injuries that put them on the shelf for a certain amount of time. During a match with John Cena, Rollins performed a standing knee strike on Cena, breaking his nose and causing him to receive medical treatment. Last September, at the Night of Champions event, Rollins executed his buckle bomb signature move on Sting during their championship match not once, but twice. The impact of the move caused Sting to end his wrestling career and announce his retirement during his WWE Hall of Fame induction speech..
Just recently, the same move – now executed outside the ring on a barricade – caused Balor to forfeit his championship and undergo surgery for a torn labrum, as well as a bicep and pectoral tear. While Rollins is highly acclaimed for his in-ring work, the inability to perform certain moves at the expense of others have proven to be costly, and can decrease the amount of trust that others could have competing in the ring against him. Rollins is not the only person to blame, though, as other performers perform moves ineffectively as well. Next Story → Where Have All The Characters Gone?